Gander and White Shipping – the very name has a ring to it. Think fine arts and antiques. Think 1933. 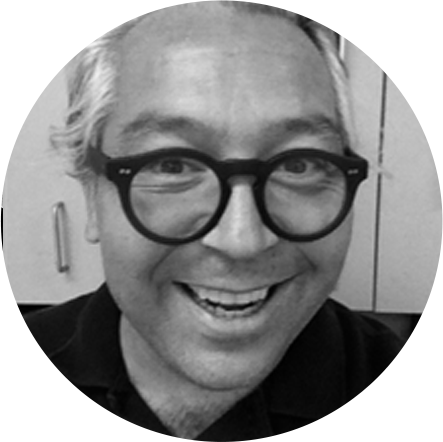 That’s when Frank White founded the company and since then they’ve been shipping and installing the beautiful and the valuable for the likes of Tate Modern, the V& A Museum and the Metropolitan Museum of Art in New York. We’re sure you get the picture, and we’re sure they’re the people to look after it for you. Gander and White, a company with a history, came to OMdeSIGN to help secure their future. 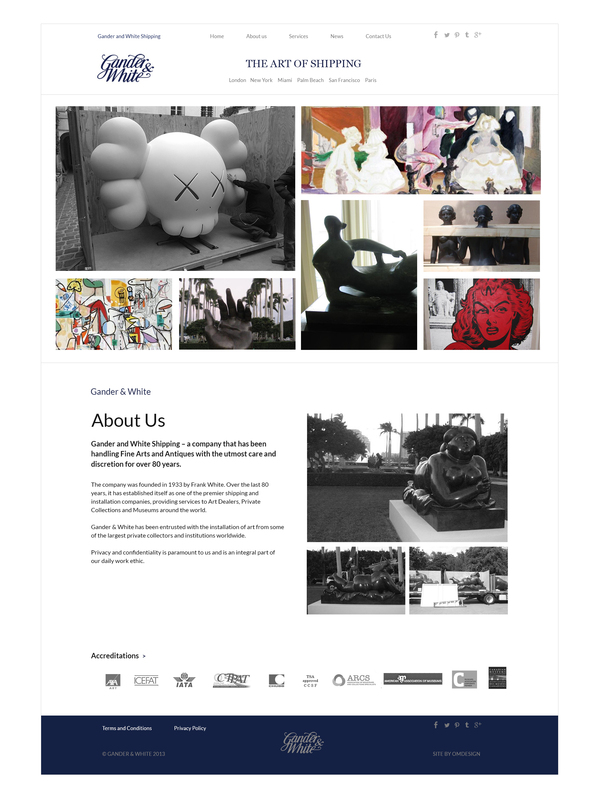 They wanted a fine art shipping website with a contemporary feel, and they wanted an online presence capable of handling whatever advances were thrown at it. Desktop, mobile, tablet and that thing being launched next year – the site needed to work any and everywhere. 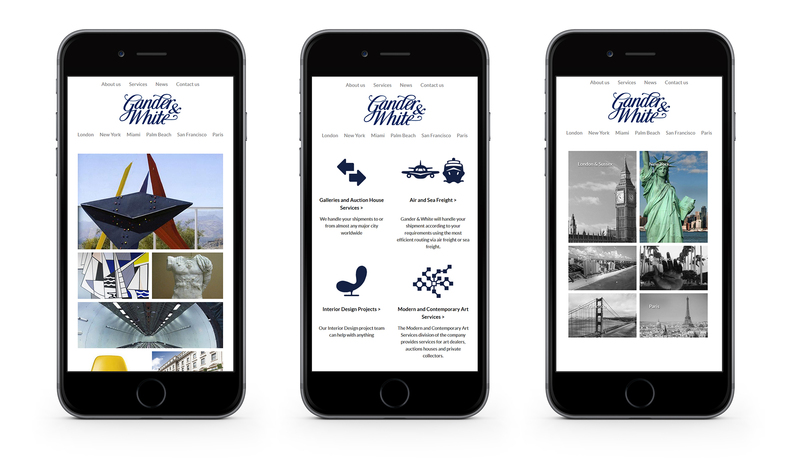 Gander and White wanted a bespoke design resulting in a site which was easy to use, aesthetically pleasing and user friendly. Of course, we delivered (it’s just what we do), but we went much further. 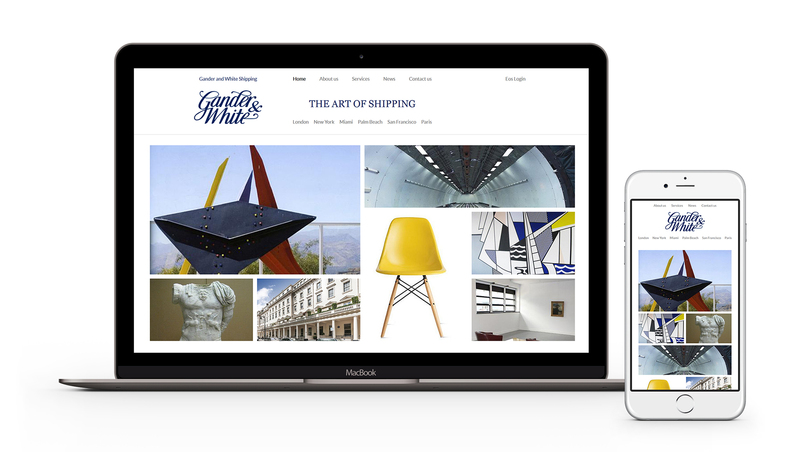 The Gander and White site was ‘fully device responsive’. In English? It adapted itself to the size, shape and type of whatever it was being accessed via. For the Gander and White team, meanwhile, we crafted an administration framework, making it simple to change and adapt the site content from their offices in London, Paris, New York, Miami, Palm Beach and San Francisco, alongside a signature OMTutorial video course aimed at bringing, and keeping, their staff up to speed. We have received great feedback on the look of the web site. We look forward to working with you in the future and expect great things. Thank you for your hard work.